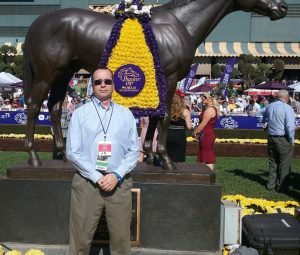 Rich Nilsen, founder of AGameofSkill.com and one of the top tournament players in the history of the NHC, offers up his full-card analysis for Saratoga on Saturday, August 26th. Last summer Nilsen crushed the Travers Day card, selecting Haveyougoneaway who upset the G1 Ballerina at odds of 10-1! But Nilsen wasn’t done. He followed up that score up by giving out top selection ARROGATE, track-record winner of the G1 Travers Stakes who paid an amazing $25.40 to win for followers of the sheet. Another top pick ran 2nd at odds of 17-1 in race 3 on that day, returning a huge place payoff. The analysis provides selections for every race plus three best bet spot plays. Each race includes Nilsen’s detailed pace scenario which explains how the race will set up. 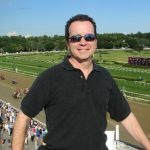 Nilsen has a value play selection for the Travers’ Stakes and he offers up his recommended straight, exacta and trifecta wagers for the big race. Put an expert on your side as you attack Saratoga on their biggest day of the year. Get all 13-races. Only $1 per race. 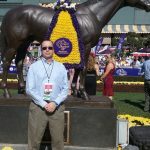 Founder of AGameofSkill.com, Nilsen is the winner of 6 major handicapping tournament and a 13-time qualifier to the multi million-dollar National Horseplayers Championship (NHC). There are a lot of pretenders out there. 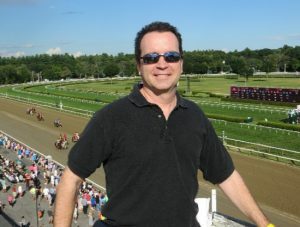 Get affordable, expert advice for this year’s amazing 13-race Travers card. Get all 13 races on the Saratoga Saturday card. Download now for only $13.97 to any device. Last weekend, Nilsen offered 5 spot plays on his two full-card sheets, and 2 won (40% win rate). See the analysis below on one of those Spot Play winners, 6-1 winner Procurement. PACE SCENARIO: Likely favorite Aripeka will attempt to steal the finale on the front end. The best closer is Procurement, who will be finishing strong under Javier Castellano. Spot Play? Procurement should get honest fractions to close into, especially if The Imposter or Street Chief put pressure on the favorite. The Maryland invader was hurt by slow fractions last time out and he fits snugly in this spot on the major drop in class. Gains the services of one of the best grass riders in the country.